Standard Disclaimer: This page is a listing and links to news items regarding transgender persons from 1952. It is ordered by date of appearance in the news, not the date of the event. Note that the text summaries are not transcripts. 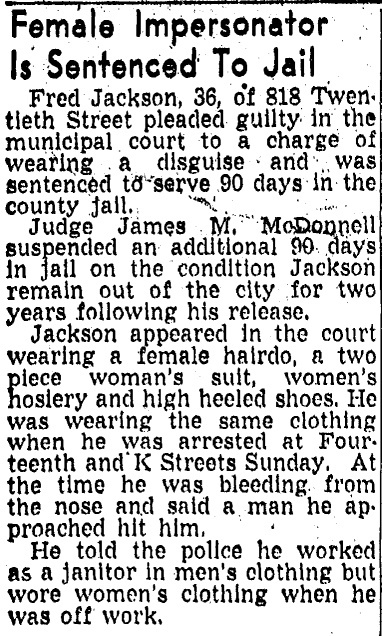 A police officer who attempted to arrest a diminutive woman for solicitation found himself in the fight of his life when the woman turned out to be Jimmie Curtis, a “female impersonator” who appeared incredibly feminine. What makes this article different from the news on the next day is that a photograph of both the officer and the perpetrator is included. 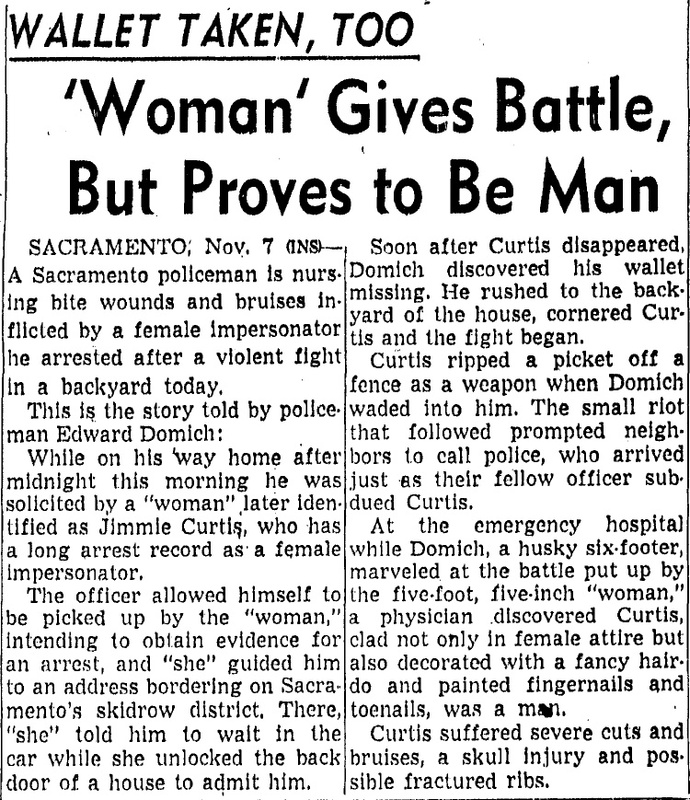 A police officer who attempted to arrest a diminutive woman for solicitation found himself in the fight of his life when the woman turned out to be Jimmie Curtis, a “female impersonator” who appeared incredibly feminine. This is essentially the same story as that the prior day. 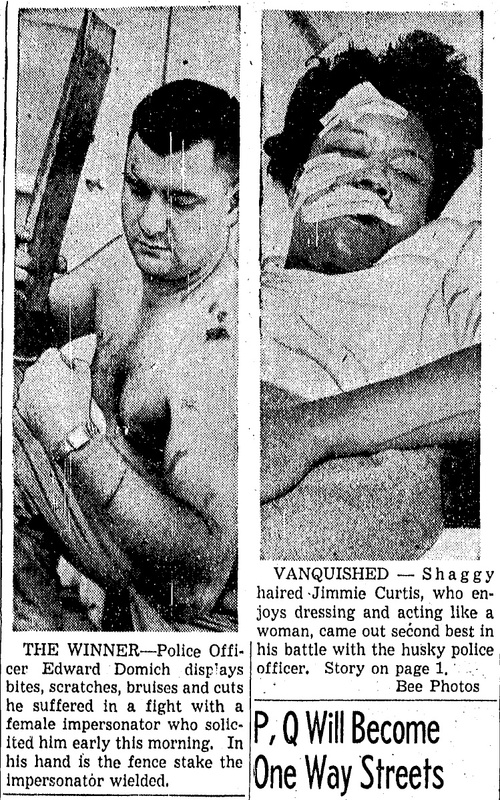 The news breaks: George Jorgensen, former Army file clerk and amateur photographer, has undergone what will be known as the first successful sexual reassignment surgery on an American to become Christine Jorgensen. The full article as printed in the Boston American is inserted inline following.